ElWell offers at-home wellbeing solutions across Oxfordshire, designed to help you stay independent as you get older. ElWell's team of experts (physiotherapists, occupational therapists, lawyers, dietitian) can take care of every aspect of your wellbeing - from mobility to memory, falls prevention to legal help, social isolation and community engagement, home adaptations and diet advice. On our home page, click on ElWell's card to visit ElWell's own website and discover more about its services in our local area and throughout Oxfordshire. 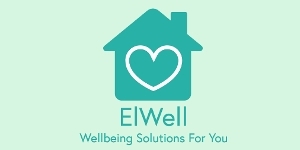 You will also find ElWell Wellbeing Support listed under 'Health' in our online Directory 2019.